OMFG, it's a mutated pedo-bear! 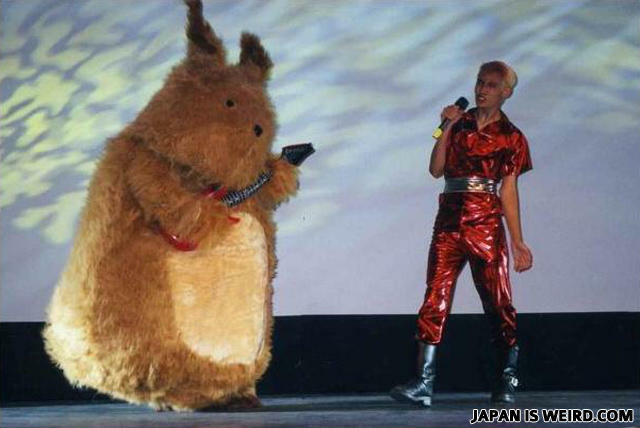 Prob the next big hit featuring Chew-kachu and Lady Gaga. "It's a cross of chew-baca and pickachu" CHEW-ACHU!! And after Sauron created the one ring to rule them all, he went to Japan and orchestrated one FAIL to rule all other fails. It's a cross of chew-baca and pickachu, but I have no idea what the one on the left is. Why did the white kids accept Morgan Freeman as a kid?